"I will put all of the energies that I have left to push forward this process" of European defence integration. 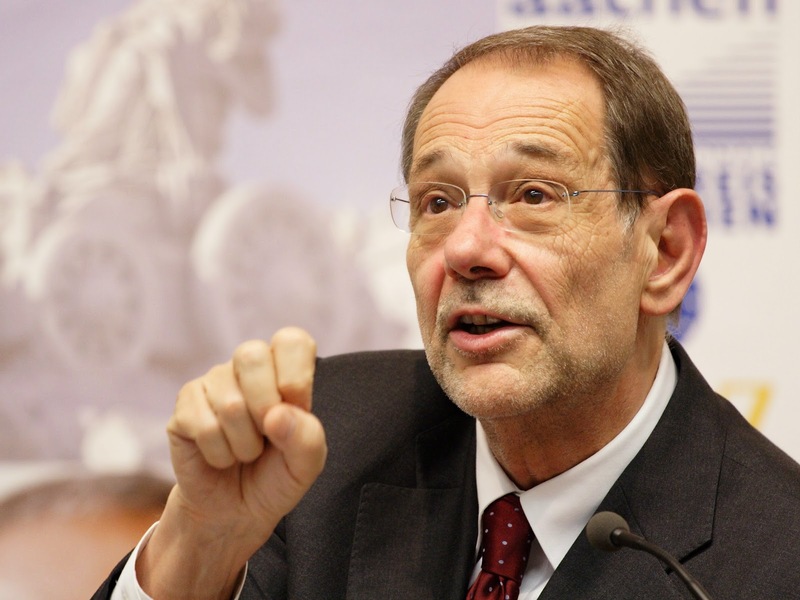 -Javier Solana, March 09, 2015. Three days ago, there was an article in the Wall Street Journal, in which Javier Solana and Steven Blockmans proposed a "European Defence Union." In the same way the EU has been creating the EMU (European Monetary Union) they proposed the EU do the same with security and defense, and create an "EDU." reinforce the "technological and industrial base of European defense"
Revision of the PESCO (Permanent Structured Cooperation) Mechanism, which makes particular countries who want to go to the "next level" on defence cooperation (arms procurement, etc.) have the ability to do so. They propose detailed plans on how to upgrade this. Although the process of bringing European armies to a more structured cooperation and, where appropriate, closer integration will certainly be a complex one, the numerous crises facing Europe have made change possible. These crises also offer an opportunity to secure a more peaceful and prosperous future for the EU. He ends by telling us that all of these crises has allowed the EU to move in this direction...as if that were a good thing! I have yet to read the whole thing, but this document is turning out to be a real "treasure trove" as far as prophecy is concerned. Recall the EU Commission recently called for the creation of a European Army. That was just one week after the release of Solana's new report. These proposals seem to be tied together in some way. Though technically not advocating a European army, Solana's report calls for integration of all of the EU's defense structures under a singular command structure. A Bloomberg article called "The EU and Whose Army?" echoes the sentiment well, challenging the feasibility and desirability of such a solution. Just a couple months ago, Mogherini announced that they would be doing a comprehensive review of European Security Strategy. She said Solana's original ESS was good, but needs updated due to the new security environment. European Security Strategy - "A Secure Europe in a Better World" was written by Solana in 2003. According to the European External Action Service website, this document considered one of the major landmarks of Common Security and Defence Policy. I'm going to be honest with you and I haven't read the entirety of Solana's new report yet. And also, some parts of it are hard to understand (perhaps intentionally so!). It is full of the typical eurospeak, but definitely has a spicy "kick" to it, because its very ambitious. But I find it strange that this document, which took months to prepare...looks like a great "European Security Strategy" as it is. The document is longer and more researched than the original 2003 ESS, which was only 15 pages. At first glance, the language in the new policy recommendation is in some ways similar to the original European Security Strategy, as well is the topic. Both documents underline the need for the EU to be a global actor in the area of security, in response to specific challenges, particularly in the neighborhood. Its interesting, he recommends that the EU revise the ESS right when Mogherini plans to launch its review. Keep in mind, this entire report is intended to be a bunch of recommendations for how the High Representative can create a European Defence Union. So when Solana calls for a new ESS, right after Mogherini already planned to launch one, its almost as if he beat her to it. Its almost as if Solana made his own ESS, at the same time he was telling Mogherini to make one. Extremism in the neighborhood and radicalization at home are blurring the difference between what is internal or external to the EU. 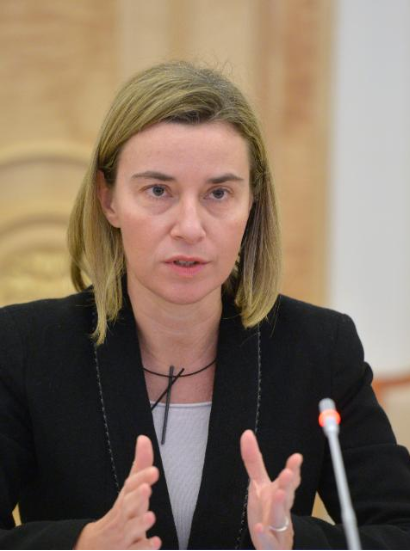 Furthermore, Mogherini's plan to be a "security provider" in the neighborhood is one of the themes of Solana's original European Security Strategy. One of the headers was "Building Security in the Neighbourhood." After presenting the need for a secure neighborhood, Solana recommends building civilian and military capabilities to better intervene more quickly. This sounds an awful lot like Mogherini's European Parliament hearing speech. 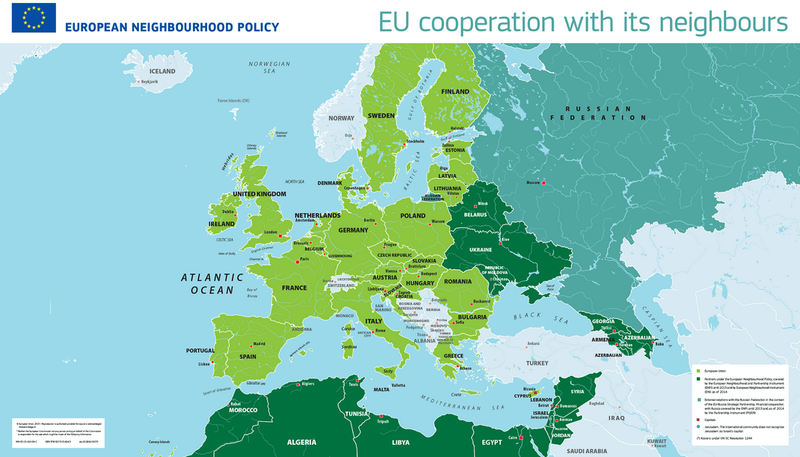 The EU is increasingly interested and expected to be a security provider in its neighbourhood and beyond. It therefore needs to continue improving its ability to anticipate events and to respond to crises, not only through civilian and military crisis management, but also by employing its broad array of instruments strategically and coherently to enhance overall effectiveness and sustainability. -Federica Mogherini (emphasis mine) (At her confirmation hearing). It is by using its military means to perform the tasks at the higher end of the spectrum, including the inaptly named ‘peace-making’ (read: peace enforcement), that the EU will be better able to serve its strategic interests and gain credibility as a security provider in a volatile neighbourhood and beyond. (From the report chaired by Solana). The new paper, "More Union in Defence," follows loosely similar strategy as the original European Security Strategy. Citing the crises in the neighborhood, as well as the financial crisis in Europe, after which Solana and his team move on to propose a European Defence Union. It starts with the problem, the "threats" and then moves to the solution. And the "threats," at least in the neighborhood, are at least sort of similar to his original ESS. I don't think there is a massive conspiracy for Mogherini to be Solana's puppet. However, Solana's experience and influence seem, at first glance, to risk eclipsing Mogherini's if they are not careful. This plan came out right when Mogherini is launching her strategic review of the ENP and launching a new Security Strategy. And look who steps up to the plate, to give some good and experienced advice? Wow! These are rather dramatic statements for a retired man. He says that all of his remaining energy will be channeled into European defence integration. He's going to have a really rough time pulling that off if he's not High Representative. I would like to continue doing the same thing, fighting for the same values, for Europe, making crisis management, listening, etc.. But a little more calmly. All these years I was a European North in the morning and Southern European night I got up at 5 am and slept at 2 am! Now I'm going to be a world citizen, a European world. But my shirts will be in Madrid. For the uninitiated, this doesn't sound like much. But we know that in the context of the EU, "crisis management" is a very specific thing. It refers to military and civilian intervention in a crisis situation. You can read about it here, at the European External Action website, and here, and also here. The EU even has a body in charge of crisis management operations, the PSC. It has a "Situation Room" for constantly monitoring the world for crisis situations 24/7. 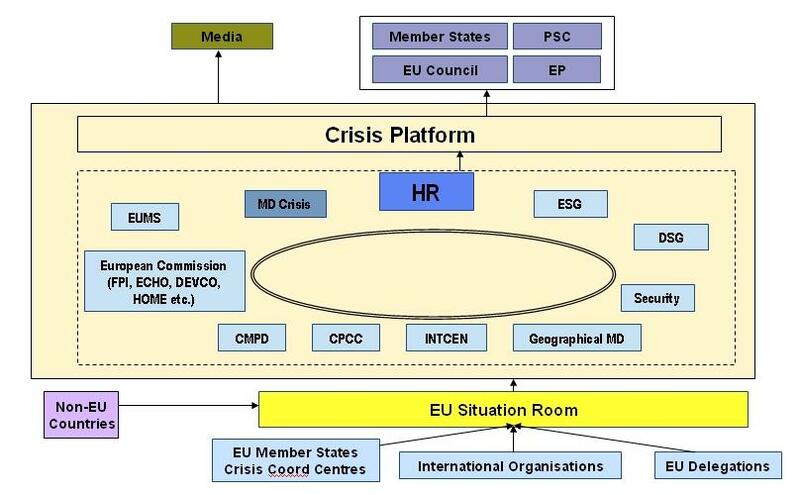 It has a "Crisis Platform" which shows an EU org chart on how all of the various figures fit into a crisis response, especially the High Representative. The civilian and military dimension of crisis management is arguably something that Solana helped invent. A.: In a day or two, the EU heads of state or government will designate my successor. I do not want to say more before that moment, but you may be sure I will remain actively engaged on all the matters on which I have been working up to now. I am not yet ready for retirement! Solana's statement that he is going to throw all of his remaining energy into European defence integration is hardly a benign statement. Never mind the frustration among the European electorate that such a statement may cause. Never mind that its a very federalist thing to say, which is deeply unpopular in some parts of the EU. Hits the nail on the head if you ask me. So what does this mean for Solana? He says he is going to channel all of the energy he has left into European defence integration. And a huge event in European Defence Integration would be the WEU's closure to make way for the CSDP (common purpose). The former High Representative for the Common Purpose, who is now retired, wants to spend every last drop of energy he has at 72 years old, to achieve.....the common purpose. I recommend you read Daniel 7 for this next part. If you don't have time, here's a summary of the passages I will be commenting on. If you haven't already, go ahead and familiarize yourself with ENP Theory 3.0, which I advocate here on my website. You can checkout the slideshow, or infographic, or both. Obviously, since I named it "3.0," the theory I present here (that many other bloggers follow), has been "upgraded" from 1.0. But in many cases, the "upgrade" is worse than the original. Click here to find out about ENP Theory 1.0, the original theory. The original theory centered on Dr. Solana, proposing that he may very well be fulfilling the prophecies associated with the Antichrist. In the ENP Theory 3.0 presentations, I interpret the little horn of Daniel 7 to be referring to the High Representative in general, and not Solana in particular. However, I was feeling the tension with this interpretation. It's technically acceptable. It's tolerable. But a little strained. And not "fantastic." But we know that in prophecy, God usually has "flawless execution," in that the fulfillment represents a better fulfillment than we imagined in the first place, despite not being what we expected. The WEU and Revelation 17 represent a perfect instance of this. And also, the EU's 7 year covenant with Israel is "renewed" and "strengthened" for seven years, not "made" for seven years. It confirms the ENP for seven years, using the ENPI framework. In the Bible it says "He will confirm a covenant with many for one seven." Scholars have widely assumed the treaty will be with Israel. Well the ENPI is with Israel and many others, thus making sense of the "many" word in the verse. Furthermore, the ENPI members look like a map of the Roman Empire, furthering the evidence that the revived Roman Empire has come. Yet another example of a coming "flawless execution" by God, in order to enhance his glory. ENP Theory 3.0 doesn't have a very "simple" interpretation of Daniel 7. For it to even work, we have to interpret the vision about the ten horns, and the little one that comes up, as referring to the High Representative. However, the interpretation has to be about the Antichrist in particular, since he rises up after the ten (after all, the ten integrated into the WEU and don't exist as a group of ten anymore). This is not a very simple interpretation of Daniel 7. But as philosophers know, all things being equal, simpler theories are better. The theory I present on this website is relatively simple, but a little strained. It performs well on the other items above. But not as good as it could. As one Anonymous commenter mentioned, interpreting the little horn as the High Representative might be acceptable, but it "pushes the envelope" a little. We could make the theory a heck of a lot simpler if we just propose that the only man who has ever held the office is most likely the Antichrist. As far as interpretive simplicity, its leaps and bounds ahead of ENP Theory 3.0. For an easy reading of Daniel 7, we are pretty much stuck with Javier Solana. 1) He is the only man to have ever held the post. 2) He wasn't just the only man, he is the only High Representative who simultaneously held the post of WEU Secretary General. Here he is the only High Representative who can truly be said to have arisen out among ten kings. Furthermore, 3) he was the first High Representative. All the other successors had more legal power than he. He's the only one who was a little horn that came up among 10. All the others blatantly don't qualify, either due to gender or the fact that the WEU dissolved since he retired. He is the only one who came up after ten and also came into conflict with three. When thinking of Solana, Daniel 7 reads reasonably well. Furthermore, as I argued in a previous post, Solana didn't really confirm the ENP for seven years. He helped create the ENP to be sure. But he didn't confirm it for seven years. That was mainly a Commission thing, and he was not connected to the legal document establishing an ENPI. However, the High Representative has recently been given power over the 7 year portion of the ENP, in Council Decision 2010/427/EU. Their power over the ENP since 2010 has only steadily increased. The High Representative is now a Commissioner herself and the ENP Commissioner and ENP Staff now work for her. A huge change from 2007, where the High Representative's connection to the ENP was mostly a position of personal influence, not actual legal power. And he's got that number written all over him so pervasively its really really hard to ignore. I have lately interpreted these 666 connections (see link for examples) to be about the High Representative in general. But sometimes, that just doesn't work. 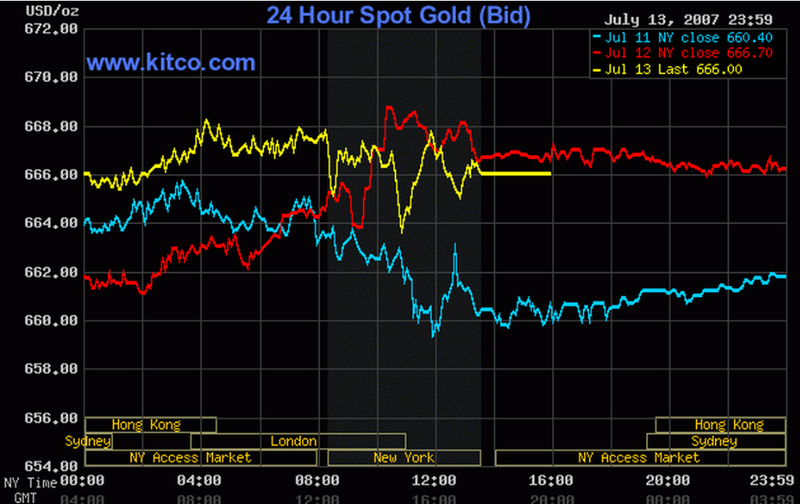 After all, why was the price of gold 666.00 dollars exactly on Javier Solana's birthday? A birthday is specific to an individual, not an office. I think this even happened after someone prayed for wisdom about prophecy. I recently found another one of these connections, completely by accident, just the other day. I accidentally came across this quote in a book about EU foreign policy. And no, I didn't originally Google search for the most interesting thing I found there. It was an accident. I was searching for information on the High Representative and the Big Three....but not that number. This is an excerpt from a book written in 2010, which discusses Solana, his negotiations with Iran, and the High Representative and the Big Three. That was written in 2010, after he retired. While hardly proof, it certainly does not help me rid of my suspicions about the man. So the theory that Solana is the Antichrist is very simple. (I Copied this from kitco.com, which has gold prices. I have made no alterations). How Does this Relate to ENP Theory? Recall, there are two main reasons we abandoned the ENP Theory 1.0. Solana, despite supposedly confirming a covenant with Israel for seven years, didn't declare himself to be God in the temple. In a previous blogpost, I argued that the 7-year covenant portion of ENP Theory 1.0 didn't really "fail" because Solana was not legally connected to the ENPI. Despite being one of the architects of the ENP, he wasn't legally connected to the 7 year ENPI. That was primarily a Commission and Council activity. Though being Secretary General of the Council, Solana's name, nor the term "High Representative" was found in the regulation establishing an ENPI. Furthermore, the EU didn't formally give the authority of the 7 year covenant to the High Representative until 2010, when the Council implemented the Decision to set up the External Action Service. There, it explicitly names the High Representative as coordinator of the ENPI in particular. Since then , the High Representative has been given more and more authority over the ENP in general. Recall in early 2010, we still "believed" ENP Theory 1.0, despite his having retired. We waited for the supposed midpoint, to see if he would commit the abomination of desolation. A More "Ad Hoc" Theory? The only major problem with Solana theory is it may be what philosophers call an "ad hoc" theory. It would make the theory simpler (thus making the theory better). But it might sacrifice the theory's credibility in the area of "ad hoc"-ness. " Ad hoc" is Latin meaning "for this." A theory is "ad hoc" if we are using some unlikely idea, just to prop up a theory. My favorite example of an ad hoc theory is the Evil Twin theory for Jesus resurrection. As the saying goes, Jesus had a long lost twin brother who was visiting town on Passover. Once he saw his brother had been crucified, he found his disciples and pretended to be Jesus, resurrected from the dead. Then after being with them a few weeks, went back home. This is really ad hoc because the idea that Jesus had a twin only exists because someone wants to disprove the resurrection. It is used to "prop up" the theory that Jesus did not resurrect. There is no independent evidence anywhere at all that Jesus had a twin brother, especially one that the disciples didn't know about. This Twin Brother is a made up addition, an "ad hoc" element added to the scenario to prop up their theory that Jesus didn't resurrect. It definitely reads better when speaking about an individual, not an office, even if said individual took a break from politics for a while, only to come back. Previously, I said that fulfillments of prophecy tend to have "flawless execution," just in ways we don't expect. There is one :exception" to this rule. While the prophecies still have flawless execution, it has been long noted by theologians that in prophecy, "time compression" seems to take place. Events which we know are really far apart appear very close together in the text. Bible teachers have often called this phenomenon the "mountain peaks" of prophecy. The prophecy is like looking at a long mountain range. You see all of the big peaks in a row, but not the big valleys in between. Jesus Christ is a perfect example. This is why, even after his resurrection, the disciples were anxiously waiting for Jesus to set up his throne on earth right away. Brother Vic, at his website Unsealedprophecy.com, often wisely compares the fulfillment of prophecy today with the experience the disciples had regarding our Lord. And that is the Lord Jesus Christ himself. Of course, Jesus did not "retire" at all. He sits at the throne of God, interceding for the saints, above every power and authority in the universe. The Messiah in the Bible prophecy is described as both a suffering servant and a conquering king. In Scripture, these ideas often occur together, with a heavy emphasis on the kingly prophecies. However, in reality, these two vocations are separated by a very large gap of time. How do we (and the disciples) know that Jesus will fulfill the rest of the prophecies, since he didn't fulfill the kingly one's yet? We know because Jesus fulfilled prophecies A-K, so its a safe bet he will return to fulfill prophecies L-Z. Christ is the real thing. The Antichrist is the parody, the perversion, the distortion. However, both are very important figures in prophecy (Jesus obviously being the most important!). If Jesus came and fulfilled half of the prophecies, and we willingly wait 2000 years for him to fulfill the other half, why can't this principle apply to the Antichrist as well? Remember, the principle of the mountain peaks. Events that appear close together in the text might be far apart in real life. When reading the Bible, its easy to get the impression that Revelation 17:12-17 will happen very quickly. But that is clearly not the case (if the WEU really are the ten), nor is it necessitated by the text. The same may apply to Daniel 7, which is the prophecy about the horns. So if God knows that Solana will hold three or four terms of office, with a ten year gap in between, its relatively inconsequential as far as the panorama of world history is concerned, and the fourth beast in particular. It says he will subdue three kings, rise up among the ten, gaining more power along the way. But it says nothing about how quickly these things happen, or how close together they are. We are already quite "revivalist" in our interpretation, much to the dismay of some other dear Christian brothers of ours, the preterists. We think that Israel will be revived in the end times, as Isaiah and Ezekiel predict. We think the Roman Empire will be revived in the end times. The Bible doesn't strongly imply a 2000 year gap between the first Roman Empire and the last one. It implies two stages in Daniel 2, but certainly doesn't give the first impression of being 2000 years apart. This is especially true of Daniel 7, where no hint of a massive time gap is present. In fact, in one of my powerpoint presentations, I say that, despite the Roman Empire's fall, it is required to come back into existence before the Second Coming of Christ. The theory that it dies and comes back after 2000 years is almost as "ad hoc" as the idea that Solana holds separate terms of office separated by a few years. Granted, the eastern leg of the empire lasted until 1400's. But that empire, as I understand it, was quite different and much less powerful than the one in the 1st Century. At the very least, there was a 500 year gap. Furthermore, we are even "revivalist" when it comes to the Messiah. After all, the Bible has many prophecies about how he will be a conquering King. The disciples did not understand the passages about his death. They might have been discussed by a rabbinical scholar here and there. But were not part of general knowledge. Jesus was the ultimate prophecy theory. The theory that he is the Messiah was severely shot down when he was put to death. After all, you can't be the Davidic King of the world, ruling and conquering Israel's enemies, if you are dead! But even though he died, he resurrected from the grave. So now due to this comeback, it is quite possible for him to fulfill all of those prophecies. So it seems the Bible is very open to the return of "dormant" prophetic entities, after a time of sometimes very long absence. Even if it did happen this way, Solana would have a sequential rise in power, just as implied by Daniel 7 by the little horn that comes up. He would start small. Then come back in the stronger Lisbon Treaty HR post. Then get even stronger as he subdued the three kings. And finally, once he becomes dictator of the world (for a short time) he will gain more power even still. Again, consistent with the image of the little horn that steadily rises in power. Granted the idea that the Antichrist retired is really tough to choke down. It's almost a joke. Certainly, is a little ad hoc. However, given the events of this week and what is allowable in Scriptural interpretation, maybe its not so ad hoc after all....We don't have evidence he will return from retirement, but its becoming a more rational possibility by the moment. No theory is perfect. Christian apologist Michael Licona even admits the resurrection only does "OK" in the criteria of plausibility, but does great in all the others. But it seems Solana theory is better than ENP Theory 3.0. Even though its a little more ad hoc, what we gain in simplicity is much more than what we lose in "ad hoc"ness. Let's examine the pros and cons of this crazy idea that Solana is the leading Antichrist candidate. As far as most of the prophecies are concerned, he fits quite nicely. He has 666 written all over him. The High Representative doesn't usually announce their own candidacy for the job. It usually hurts their chances. So the fact that Solana isn't announcing it, (especially 4 years ahead of time!) doesn't mean much. Solana wants to spend every last once of energy he has to complete European defence integration. A very ambitious goal for a 72 year old retired man. Would be much easier to do this if he was High Representative. Many politicians in the past have held an office, left that office, only to return. Netanyahu is a perfect example. But let's be honest. The idea of a "retired" Antichrist sounds more like a bad joke than anything else. It is at least somewhat ad hoc. He's 72 years old. By the next ENP 7 year midpoint, he will be in his 80's. Granted, the Bible says nothing about his age, but most people don't rise to become megalomaniac dictators in their late 70's and early 80's, especially of the entire world, much less a continent. I have shown that the first of the last two "cons" is somewhat surmountable. The second one is a decent objection, but also not insurmountable, because I am unaware of anything in the Bible about the Antichrist's age. I was recently showing prophecy stuff to my Mom, and without even suggesting it to her, she proposed the idea that Solana come back. Many Anonymous's have posted on this website. I would like to say please keep the comments coming, and I'm sorry for the delay in my reply. Also, if you are having technical difficulties posting comments, let me know. Many of you have noted in the comments that there is a possibility that Solana come back. At first, I thought this was unnecessary, and strains the theory. However, though it is not perfect, it is probably the best theory out there. I once felt pretty bad for pushing for Solana's candidacy as Antichrist. After all, Google searches quickly reveal that he was once a popular favorite among the "grassroots" of prophecy watchers. And I was an accomplice to this, as were many of you. I thought, not too seriously, but a little bit, that I owe the man a care package for calling him the Antichrist. I won't announce him as the Antichrist... We can't make an "official" ruling on that until he is revealed. P.S. More than one of you imply you may be having technical difficulties posting comments. This can happen if there are too many characters. If you are having technical difficulties, go ahead and post your comments underneath the topic I created in the Forum. Choose the EU in Prophecy section, and comment on the pinned post. Feel free to post comments anywhere, but if you aren't having luck with the comments under the posts, try there as well. Thanks. Gegout, Catherine. "CFSP: The Machinery of Decision Making." 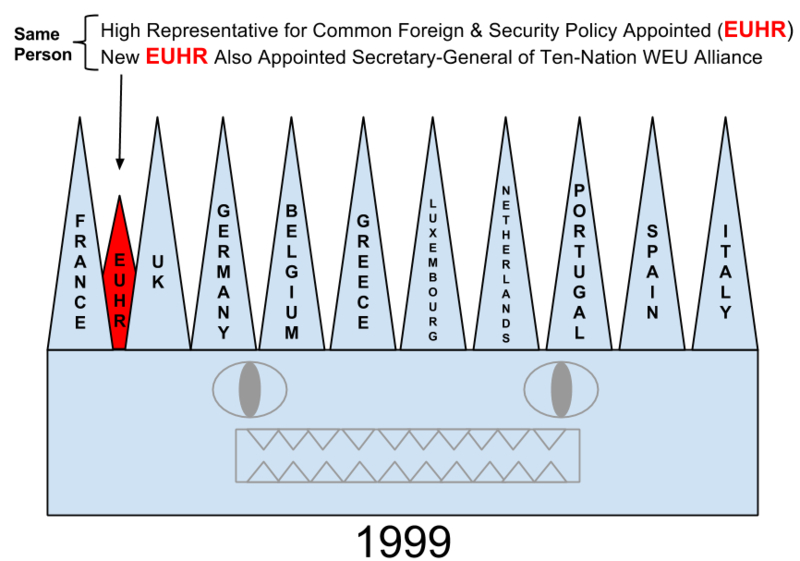 European Foreign and Security Policy States, Power, Institutions, and American Hegemony. Toronto: U of Toronto, 2010. Print. *An exception being Jurgen Trumpf, who was "acting" High Representative until Solana was installed. He is not generally considered the inaugural holder of the position, because he was a placeholder for 5 months. **Many of those criteria have been taken from Christian scholar Michael Licona's list. The others were just stuff I remember from class. Good afternoon. And indeed, he seemed to go away for awhile. But he seems to be creeping back into policy discussions. Recently had an article about Europe's "Sovereignty Illusion." I must be especially careful to scrub my actual name from this site, as the man who coauthored the Wall Street Journal article and helped author that "More Union in European Defence" paper has replied to my email requesting a video of Solana's presentation. Indeed. Theologically, a little unusual that he would leave and come back. But perhaps his return is encapsulated by the White Horse in Revelation 6, a conqueror bent on conquest (an apparently bloodless one at that). Seeing that he has not yet confirmed a covenant with many for one seven, and the only man who came up among ten, Solana theory has more credibility than previously thought. The coauthor of the report and the Wall Street Journal article with JS has unexpectedly replied to my email to CEPS, requesting a video of the presentation. I don't want to speak too much of this, especially in the blogposts, since the WEU assembly discovered what i was doing with the information. Indeed, the eu electorate would not have tolerated a 15 year term, hence these two replacements. Great to hear from you Constance. Very interesting video. I do not know much about Bible code. But it is quite intriguing if all those other names have been run through his system, and Solana's comes up frequently. Very intriguing. Theologically, a bit strange the man would step down and come back. But nonetheless, lots of "time compression" in Daniel 7 to begin with, so maybe JS theory should be afforded much more credibility than I have afforded it in the past five years. He remains the only EU person who could actually fulfill the prophecies without significantly straining the text. Good to hear from you as well. Indeed, I saw that he was poking his head into the area of Greece as well. Perhaps we will see more and more involvement by this man. Though not a young man, he still has quite the spark in him for his age. And very true. Theological considerations about the beast who eventually and apparently inhabits the body of the Antichrist do lend support here. Time will tell. If confirming events move forward much more to identify the prime mover in all of this then each person with adequate knowledge of this theory should take measures to condense the material and ensure it will be available for the world at large. Multiple methods for transmission and passing hand to hand. The numbers of people who can satisfactorily address this issue is not that large. In addition the internet will probably censored if and only if this truly goes forward. If it does go forward then time is probably a matter of months and less than years. speculating on all of this will soon be worthless one way or the other. You are indeed right that speculation will indeed be worthless eventually. And censorship will be common as Christianity becomes more and more criminal as the days grow darker. I am working on some other materials for this website. But alas, I hope it all remains relevant. I hope with you that it is a matter of months rather than years. However, it is a full 4.5 years until the next HR is nominated, so I wouldn't be surprised if its as many as 4.5 years until we see something interesting. Nevertheless, the HR can be deposed by qualified majority voting at the European Council. But it seems at the time (unless a major scandal) that they won't do this. If Solana is the AC, then he is probably waiting until the EU consolidates more military power, before stepping to the helm. If he had done a 15 year term by going a third term instead of letting ashton have it, he would have wore himself out building the EEAS and looked like a tired old bureaucrat who wouldn't let go. For image sake, this would have been bad. If he is the AC he would just wait until the consolidated military power to step back in. I saw something back in 2002 issued by the Council secretariat, that said although the HR can chair the PSC, it is not enough and he should be given more coordinating powers in the event of a crisis (coordinating all the european armies, without a central command, would be a messy hodgepodge of a disaster). I also learned he did want the EU FM position back in 05, and even started building the EEAS. but tho he was on the shortlist he stepped down in 09. Disconfirmatory? Yes. The end of a theory.....perhaps not. Notice the headlines all over the world that Solana was denied a visa waiver for travel to the USA? He is aggressively pushing "global governance," using Trump, Brexit, populism, "under-represented China", etc., as the "crises=opportunity." He's still very much at it. CSDP, Egypt, and Bible Prophecy? Part 2: The White Horse - A Bloodless Conquerer?